In Carmarthenshire we have a county council By Election on September 22nd.Veteran octogenarian Councillor Tom Theophilus has passed away. Tom stood as a Plaid endorsed Independent and held the Cilycwm seat since the council was formed. The word was that before every election he made promises of future loyalty and support to the County Plaid Cymru Group. After every election he joined the right wing Affilliated Independents, voting with them against the Plaid Cymru group. He therefore captured the nationalist vote to add to his own personal vote without acting as a Nationalist at all in County Hall. Plaid never had the guts to put a loyal party member up against him. The ward is extremely rural and its area covers 50 square miles. The County Council has recently stripped it of all of its schools, It is lacking in bus transport, decent broadband,well maintained roads and general facilities. Local resident, Community Councillor and political blogger Jacqui Thompson has joined People First and we thoroughly support her as our candidate. She will certainly change the council for the good. This time there are 7 candidates, Plaid Cymru, People First, Conservative, 2 Independents, Labour and a Liberal Democrat. "Carmarthenshire County Council desperately needs new Councillors like Jacqui Thompson who represent the people rather than themselves or party interests. This Council has been shamed by Jacqui, as she has exposed waste,secrecy, paranoia and wrong doing in this body. Her efforts have been rewarded by the respect of many outside the Council but hostility and persecution by all of the 3 party political groups within Carmarthenshire council, Plaid, Labour and the Affiliated Independents. They have all condemned her for her criticism as they have all been involved at one time or another in the unpopular and questionable decisions and service cuts which hurt the public but leave the local wealthy and political elites without inconvenience and sometimes personally enriched. We need people like Jacqui, fearless champions of ordinary folk, willing to speak out and not allow local issues to be dictated by the wealthy and powerful. The People must take back control from these nodding donkey Councillors who seem to care far too little for the people who elect them and far too much for the rich and powerful. People First/Gwerin Gyntaf was formed in Carmarthenshire in response to the lack of accountability, openness, integrity and honesty in the County Council. We believe in true representative democracy where the people are consulted and control their representatives, rather than Councillors making important decisions without a thought to the people affected. Jacqui will certainly put in the time and effort to help change this Council for the better. We are very proud to support her." 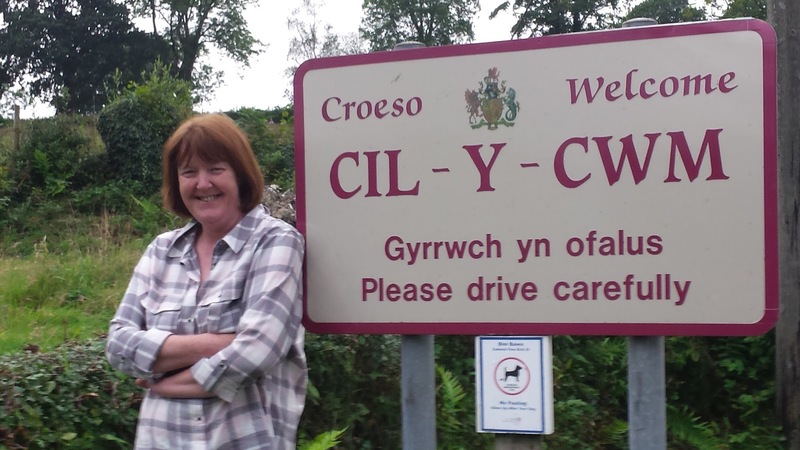 "I am delighted to be a candidate and to have the chance to represent all the communities within the Cilycwm ward. There is no doubt that this ward has had a raw deal from the County Council, from closing the last primary schools this year, to closing the local secondary school last year. If elected I would ensure that we have our fair share of money and resources, I won't sit back and watch it being funneled into white elephants and vanity projects at the expense of our essential local amenities and those most in need. I'd be a wake up call to the county council, my reputation proves that I will not be silenced, and will make sure that all the interests and concerns of this entire community, are heard, with passion, very loud and clear!" Jacqui has been impoverished by the libel case taken against her by County Council chief Executive Mark James and the insistence of the Plaid Council Leader Emlyn Dole and his administration that all court costs should be recovered. She has offered installment payments but these have been declined so far and interest is being added to her debt. However, relying on the generosity of her friends and sympathisers, we are funding her campaign through People First. Until September 22nd all donations to this blog will go to her election campaign unless specified otherwise..If anything is left over she has agreed with our offer to reserve that extra money for her campaign in May next year when all County Councillors in Wales stand for re-election. Jacqui will contest the ward again whatever the result on the 22nd. Canvassing so far shows essentially a contest between Plaid and Jacqui, and she has a very good chance. She was only 43 votes short last time. Please help her get to be first past the winning post this time!. If you support Jacqui's cause please donate. I really hope Jacqui is given the chance to show us what she can do to support her Cilycwm constituents and by questioning & taking an interest in the decisions made by the hierarchy of CCC without due consultation we may see the culture begin to change for the better. More accountability, more openness, the ability to learn from mistakes, the disclosures from whistleblowers and the complaints from wronged service users, their representatives or us (hate the word)stakeholders. No more cover ups or putting reputation before the public interest. Can just one more Cllr who puts the public interest first make enough difference to bring about change? I would like to think so! People First seems to have always supported other Cllrs, from whichever party, who are trying to act in the public's interest and the interest of their own constituents. If my small donation helps a little to assist Jacqui in her quest to become a Cllr and helps bring change then it's money well spent. The press release is top notch by the way; congratulations! Most important to know is all donations are ring fenced for Jacqui's bid to become a County Councillor none of the money will end up in Mark James' pocket; he's paid more than enough considering he will never be held accountable for his and the CCC's maladministration which borders on the unlawful. Leaders who refuse to accept responsibility/accountability do not deserve the inflated monitory packages they are given from the public purse. Good luck Jacqui! Good luck People First!